The reason I really like this MLM book is it is sooo based on reality. It tells you the landmines of MLM, what happens when leaders leave or when your upline pitches you something else. This could ONLY have been written by someone who has been in the trenches. 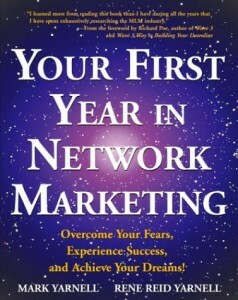 Mark Yarnell has earned over $30 million in this industry and I highly suggest his book Your First Year in Network Marketing. The next great MLM book is by Eric Worre, Go Pro lays out seven steps to becoming a professional network marketer. This book is NOT just for MLM but it really applies so perfectly to our industry, it is a must have. 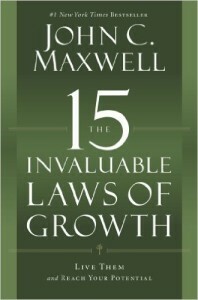 John Maxwell's 15 Invaluable Laws of Growth is awesome. IF you are serious about making big money in this industry, you MUST be willing to grow. 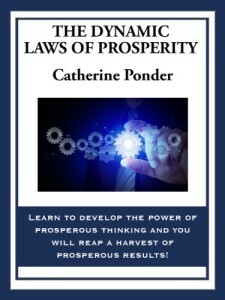 Another great read is The Dynamic Laws of Prosperity by Catherine Ponder. If you find yourself making a lot of excuses, read Excuses Begone! by Wayne Dyer. Having trouble with your thought process? Check out these two books Psycho-cybernetics by Maxwell Maltz, M.D., F.I.C.S. 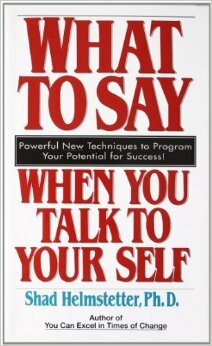 and What To Say When You Talk To Your Self , by Shad Helmstetter, Ph.D. 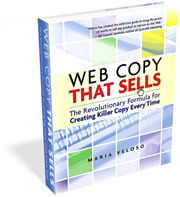 Web Copy That Sells by Maria Veloso, and Influence: The Psychology of Persuasion by Robert B. Cialidini, all of these books will help you with writing emails and making advertisements. 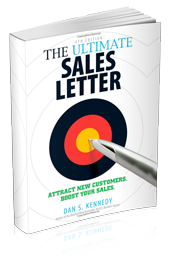 This book has been a game changer for many in the marketing industry. Change one thing everyday and watch how your life and business change. The Slight Edge by Jeff Olson is a must read. Robert Kyosaki has changed the way millions, of people around the world, think about money. He communicates his point of view on why ‘old' advice – get a good job, save money, get out of debt, invest for the long-term, and diversify – is ‘bad' (both obsolete and flawed) advice, in the book Rich Dad, Poor Dad, a must read for everyone whether in business or not. 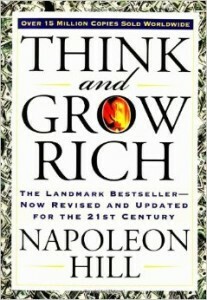 Napoleon Hill's book Think and Grow Rich, he researched more than forty millionaires to find out what made them the men that they were. Once you've read this book you will understand what gives certain people an edge over everyone else. It's an old book, but also is a must read! 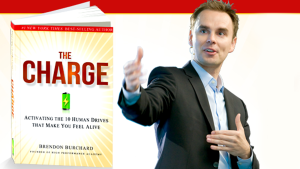 One book I have to include in this list is Brendon Burchard's The Charge. Each chapter is so jam-packed with MEAT it is ridiculous. Read it once without taking any notes or trying to process every little suggestion he has and THEN go back and re-read it and do notes or whatever you do with normal books. This book is definitely a game changer. 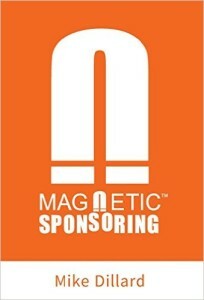 Magnetic Sponsoring, by Mike Dillard is the best book ever written on attraction marketing. If you are brand new to marketing and not really sure where to start, this book will take years off your marketing experience. You can skip all of the tactics taught by most companies, like cold calling, buying leads, posting fliers, or spamming the internet. 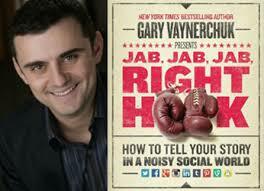 he explains how to make content that gets you and your business noticed while using boxing as a metaphor. 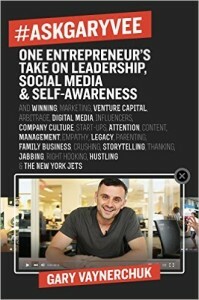 His latest book #AskGaryVee is a blueprint for any marketer. I had the pleasure of meeting him at one of his book signing events that my mentor held on April 2, 2016. What an amazing once in a lifetime experience!! …to be in a room with 32 people and Gary Vaynerchuk. 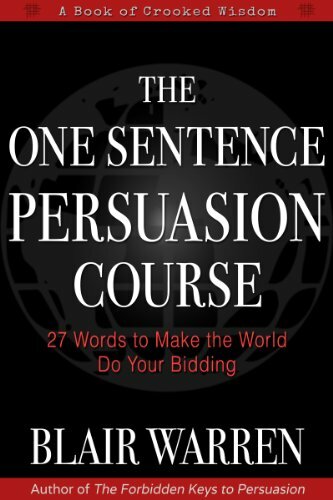 Even the most powerful persuasion strategies are useless if you can't remember them when you need them. Check out this Kindle version.